Popularly known as the “Gourmet Queen” and the author of various cook books, Asha Khatau is back with her next book titled, “Nouvelle Indian Cuisine”. This is the latest book in The Best of Epicure series which is a modern and experimental approach to traditional Indian cuisines. So Yogurt Romesco Dip, Cheese Papad Rolls and Thepla Quesadillas anyone? In Mumbai on December 1, 2017, Smt. 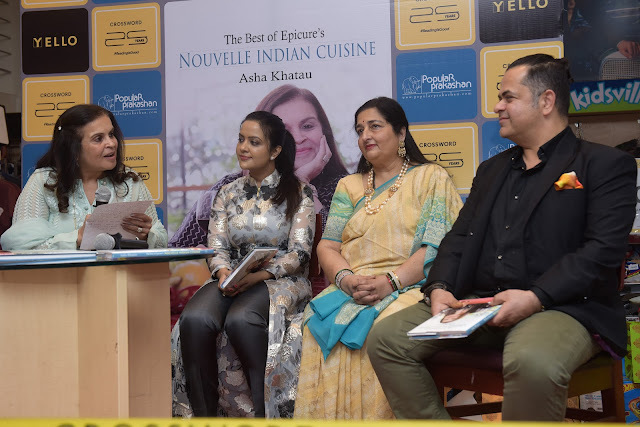 Amruta Fadnavis launched Asha Khatau’s latest cookbook “Nouvelle Indian Cuisine“at Crossword Bookstores, Kemps Corner in the presence of renowned Chef Vicky Ratnani and singer Ms. Anuradha Paudwal. The book is published by Popular Prakashan. The celebrated author, Asha Khatau, has been in the news. It was announced that Asha’s debut book “Vegetarian Cuisines of the World” was also chosen as one of the Top 20 books in the world and is amongst the “Best of the best in the world at a show celebrating 20 years of Gourmand World Cookbook Award. The book seems like a treasure trove of fusion recipes. For example, the welcome drink suggestions include cucumber buttermilk, ginger rasam with kaffir lime leaves, lemon sherbet and rose syrup sherbet with rose petals. So do the ideas for starters and main course will tickle your taste buds. "I got the copy of the book a few days ago and it has very good ideas and recipes. This book must go international because there are lot more people out there in the world who actually aspire to cook Indian food and I think there are lot of trending and attractive recipes, with very limited ingredients. I would also want to make these dishes with her sometime” added Chef Vicky Ratnani. Asha Khatau was persuaded to write a book in the field of culinary dishes after the success of the cooking classes. She has not just conducted cooking classes but also cooking demonstrations in India as well as different parts of the world. The other books by author Asha Khatau are Vegetarian Cuisines of the World, Vegetarian Chinese Cuisines, Vegetarian Italian Cuisines, Vegetarian Cuisines of India, Delectable Desserts of the World, Appetisers, Mocktails and Cocktails, Exciting Vegetarian Cuisines of the World, Gujarati Cuisines, Soups and Salads, Cakes, Cookies and Pies, Entertaining with Asha Khatau. 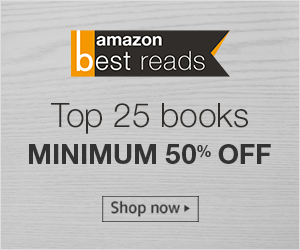 You can order a copy of the book Nouvelle Indian Cuisines from Amazon.